The aim of this book is to make Lucian’s On the Syrian Goddess accessible to intermediate students of Ancient Greek. The running vocabulary and commentary are meant to provide everything necessary to read each page. 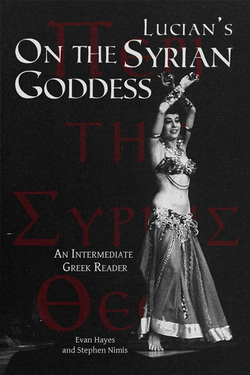 On the Syrian Goddess is a great text for intermediate readers. The simple sentence structure and straightforward presentation make it easy and enjoyable to read, while its subject matter, the cult and sanctuary of Atargatis in Hierapolis, is interesting at many levels. The author recounts personal observations about the worship of this Near Eastern goddess, whose cult included numerous exotic practices, such as temple prostitution and self-castration. There is a version of the Near Eastern flood story as well as unusual versions of myths familiar from Greek mythology. In addition, the author has crafted a careful imitation of the Ionic prose of Herodotus, a dialect that existed only as a literary artifact at the time of the work’s composition.